Freelensing is a form of photography where the lens is hand held in front of the body and is not inserted into the bionet. If you ever tried it, it is pretty cool and creates tilt/shift like effect, only with a random aspect to it because you are… well… hand holding the lens. This is why it’s called Freelensing. If you are new to the subject, or just want a refreshment, Luke Roberts has a great introductory tutorial on freelensing (which is where the title sketch was taken from). One of the harder things to do while freelensing is focusing, you are constantly moving, the camera is moving in relation to the subject, and the lens is moving in relation to the camera. This is where Magic Lantern can help. Magic Lantern is a custom firmware pack for Canon DSLRS which adds features to the camera. Or, get a Sony ;). 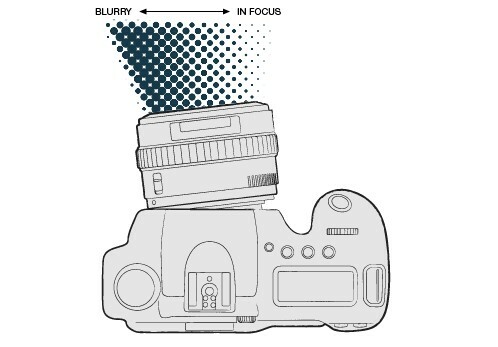 That way you’ll also be able to use focus peaking (and zoom), through the viewfinder. Not if you freelensing, because the lens is detached from the camera, dough! I’m not with you; focus peeking/focus zooming still work with the lens detached on a Sony SLT, both through the EVF and with live view on the screen. I just tried it. Double doh?! Sony cameras got “Shutter release without lens” option or something like that. Good, comfortable when using the lens by hand. I will try this function with the joint that I’m building. More than willing but I do not guarantee a short time, I have many projects in progress. The lens looks, the back backs away. How do you keep dust off your sensor with this technique? Think of the dust problems in the cavity though!